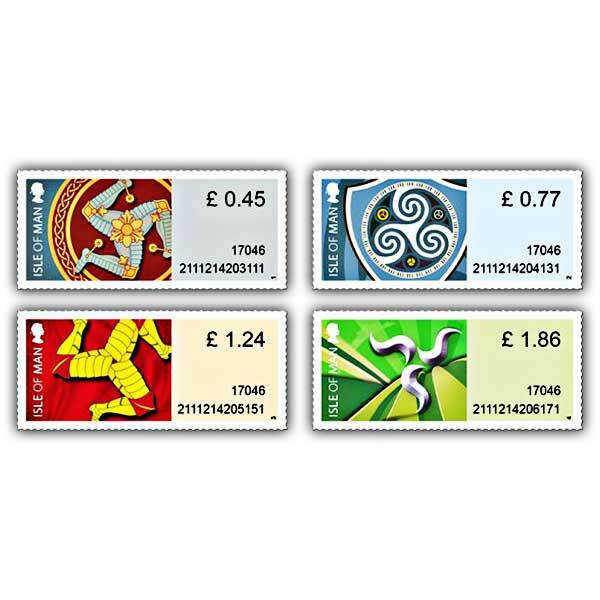 'Variable rate definitive self-adhesive stamps' are understood as 'Post & Go stamps' and 'Faststamps' in a variety of other jurisdictions, they are popular, extremely collectible and deemed the next generation of self-adhesive stamps. Each stamp features the stamp value, date of problem, sequential number and stamp identifier. 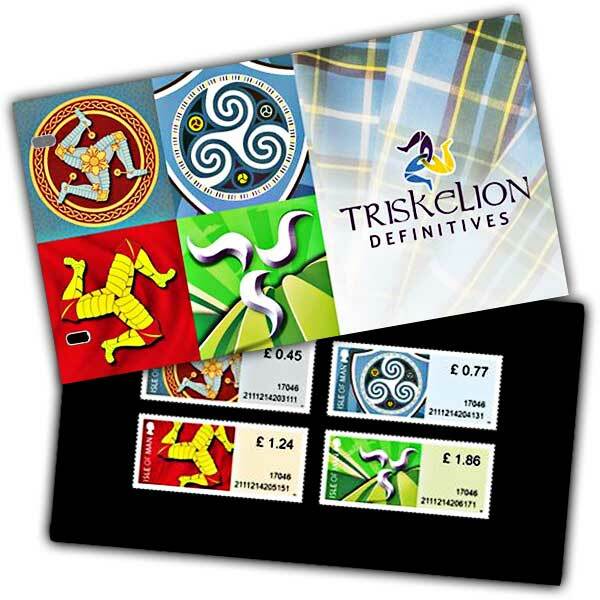 This 4 page glossy mini brochure is the best way to display a mint condition set of the Triskelion Definitives. Alongside the stunning imagery including the Three Legs of Man and Manx tartan is a comprehensive problem text enlivening Isle of Man Stamp's journey to their first collection of variable worth self-adhesive stamps. A modern analysis of the three legs of man. The legs normally run clockwise and carry the Latin motto 'Quocunque Jeceris Stabit' meaning 'whichever way you throw, I stand', a referral to the independence and strength of the Manx people.